Breathalyzer Follow up - Peter Lederman, Esq. We are receiving a large number of phone calls and e-mails from clients about the status of their prior convictions in DWI cases. This is in light of the New Jersey Supreme Court’s recent decision in the Cassidy case. In that case, the Court determined that the Alcotest breath test results could not be used against a defendant when the State Trooper failed to follow the procedure established by the Court to determine the machine was in proper operating condition. These inquiries involve whether cases could be reopened after pleas were entered or findings of guilt resulted in convictions. Unfortunately, the answer to this question is unclear at this time. Normally when a previous conviction is challenged, that challenge is resolved by way of what is referred to as a Petition for Post-Conviction Relief. The Supreme Court in Cassidy held that this would specifically be the proper way to raise a challenge. 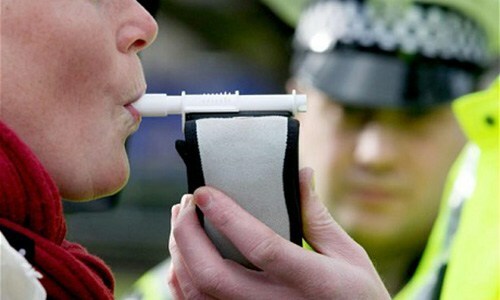 This was as a result of its finding that certain breath test results would be invalid. Unfortunately, these applications are on hold at this time. This is because of direction from the Supreme Court’s administrative arm, the Administrative Offices of the Court. Although we only have anecdotal information at this time, it appears that the AOC is considering appointing a special Judge to determine how the Court’s decision in Cassidy is to be applied. This procedure however, is only causing a further delay in applying the Court’s decision. If you have been advised then, that a prior conviction may be affected by the Court’s recent decision, there is no procedure available at this time, to change the challenge of your case. There is also no way of knowing when this situation will change and when applications can move forward. Of course, we will post information as soon as that information becomes available. Posted in Articles, Field Sobriety Testing and tagged Alcotest Results, breath sample, Breath Test Machine as Evidence, dwi, DWI courts, field sobriety testing, NJ DWI law, Peter Lederman.